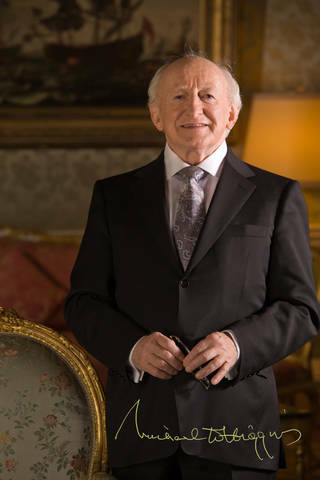 Michael Collins named Irish Times Book Club Author in March 2017. He reflects on 20,000 Irish Famine Refugees who died in 1847. 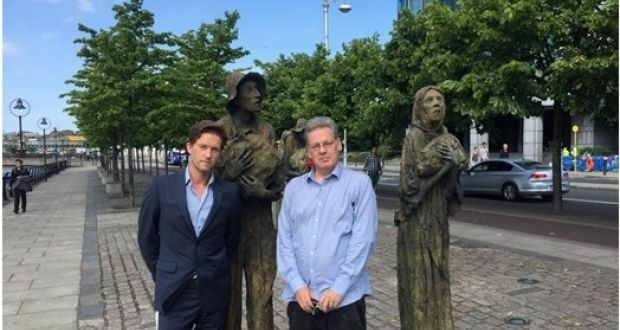 Irish Times Book Club Author March 2017 Michael Collins with Jason King at Rowan Gillespie Famine sculptures in Dublin, Custom House Quay. Michael Collins has been named as the Irish Times Book Club Author in March 2017. His novel The Keepers of the Truth was shortlisted for the 2000 Man Booker Prize and the Impac Award and won Irish Novel of the Year. He is the author of 10 works of fiction including most recently The Death of All Things Seen (2016). 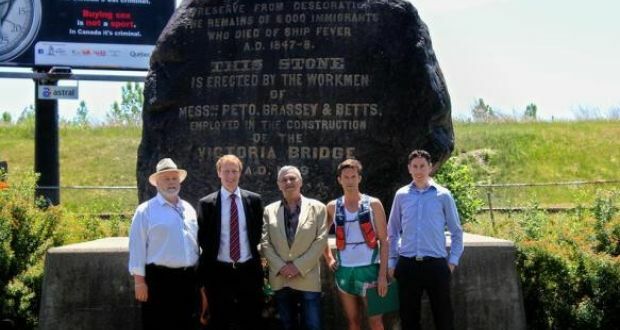 In the summer of 2016 Michael Collins also completed his epic 550-mile run from Grosse Ile quarantine station in Quebec to Ireland Park Famine Memorial in Toronto to raise funds to commemorate the route Famine refugees took across Canada and the locals who helped them. 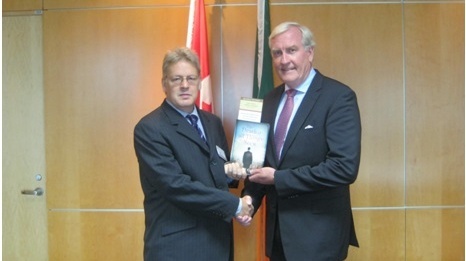 Dr Jason King presents a copy of Michael Collins’s novel The Death of All Things Seen to Canadian Ambassador to Ireland Kevin Vickers. I would like to congratulate the Booker-nominated novelist and ultra-runner Michael Collins on the completion of his Irish Diaspora Run 2016. This past June and July he ran a marathon a day from Grosse Ilê in Quebec to Ireland Park in Toronto following in the footsteps of tens of thousands of Irish emigrants who fled the Great Famine for Canada in 1847. Next year he will continue this run along Ireland’s Wild Atlantic Way west coast trail. I would also like to thank Michael Collins for giving me a signed copy of his new novel, The Death of All Things Seen, which has already been acclaimed as a “driven, virtuoso” work and “a formidable, demanding achievement”. In both his novel and during the Irish Diaspora Run, Collins has sought to discover and retell some of the most powerful stories of the Famine Irish in Canada. He was particularly inspired by the “Saving the Famine Irish: The Grey Nuns and the Great Hunger” exhibit and Digital Irish Famine Archive (http://faminearchive.nuigalway.ie/) which he describes as “nothing short of genius”. 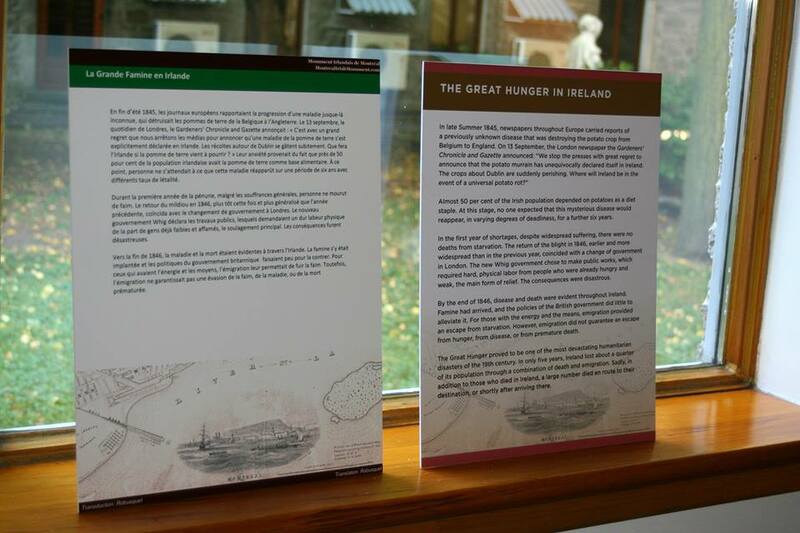 It gives me great pleasure to announce that the “Saving the Famine Irish: The Grey Nuns and the Great Hunger” exhibit, curated by Dr. Jason King and Professor Christine Kinealy of Ireland’s Great Hunger Institute at Quinnipiac University, is coming to Dublin for the Irish National Famine Commemoration in September, and then will travel around the country. Next year marks the 170th anniversary of the Irish Famine migration and the 150th anniversary of the founding of Canada. It is only fitting that we pay tribute to these Canadian caregivers of the Famine Irish who express our values and the enduring ties between our two countries. Michael Collins at the beginning of Irish Diaspora Run at Grosse Ile National Historic Site. Michael Collins on Irish Diaspora Run in Quebec. Within the Famine memorial fundraising community, there’s a phenomenon quietly referred to as “famine fatigue”, which tacitly acknowledges that, in the receding century and a half since the events of those terrible famine years, there’s a limit to the emotional empathy that can be wrought from a people, no matter the numbers – one million starved and another two million were forced to emigrate. 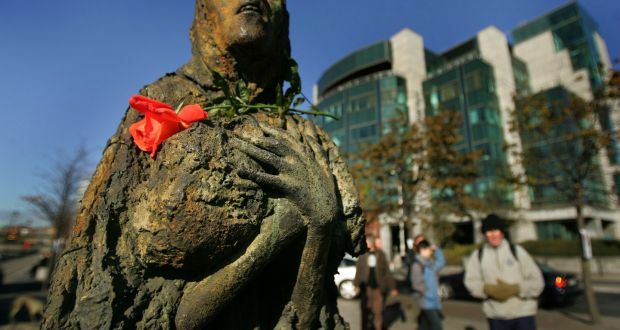 Time moves on and yet, when I first heard the term, it rattled me that my month-long Irish Diaspora Run – a marathon-a-day for 30 days, motivated to bring awareness and raise funds to memorialise 20,000 Irish who died during the 1847 passage of 100,000 famine-stricken emigrants to Canada – might be viewed as just another far-cast mournful act of an emigrant dwelling on ancient history. Michael Collins on Irish Diaspora Run in Ontario. The term “famine fatigue” was the first reality check I would experience in what has become an evolving and contentious coming to terms with the actual cause, circumstance and culpability regarding the Famine years of 1845-49. My first point of contact was with the highly regarded Irish Famine historian Dr Christine Kinealy, at Quinnipiac University in Connecticut who has gathered a stirring collection of Famine-inspired sculptures housed in the university’s library. 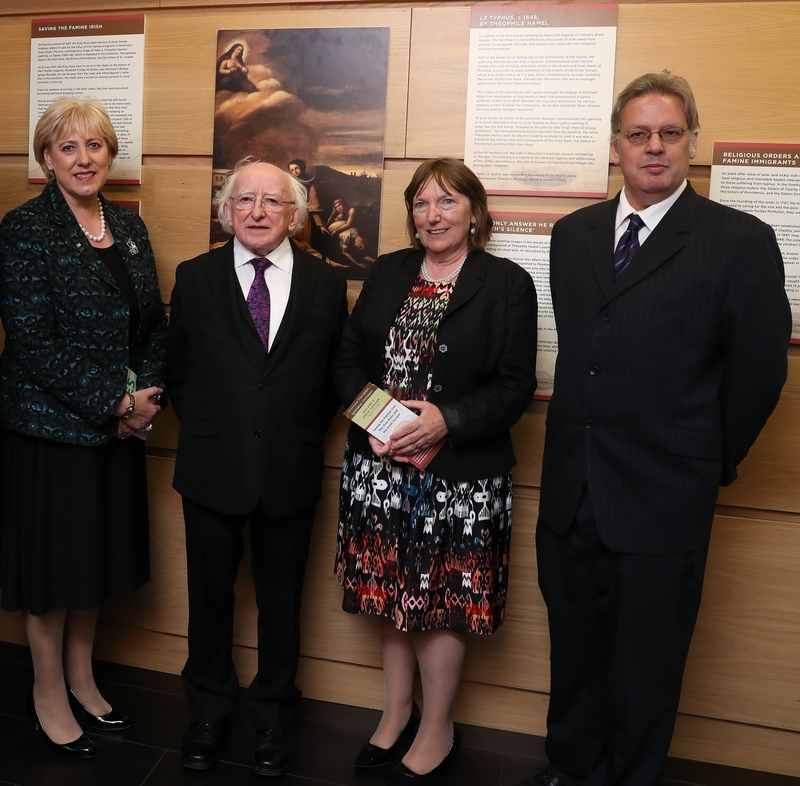 Minister Heather Humphreys, President Michael D. Higgins, Professor Christine Kinealy, and Dr. Jason King at launch of “Saving the Famine Irish: The Grey Nuns and the Great Hunger” exhibit, Glasnevin Museum, September 11, 2016. In my own youth, the Famine was not discussed, partly out of a reflexive sense of shame that we had been so subjugated under British rule, but also in our pragmatic rush throughout the early 1980s toward a new Ireland of so-called young Europeans. In the instinct to outrun history, there was an underlying economic indeterminacy tied to the protracted Troubles and with it, a spike in emigration. So, too, a nationalist movement, in calculatedly drawing upon the famine, had stoked an impassioned Irish-American community further complicated our self-determinism. We were at once a people united and divided by our own history – by those who remained and the descendants of those who had left. Upon emigrating to America, I wrote my first collection of short stories, The Meat Eaters, an ode to country inspired by loss and displacement. Soon after, swayed by legions of emigrant descendants who configured their history around the historical displacement of the Famine, I began a Famine novel. I would spend a year researching the historical record and in the end wither from the burden of inhabiting the psyche of either the Irish peasantry or the landed aristocracy. It lives as a singular literary failure that has dogged me, given I would eventually transfer a sociological acuity to all things American, specifically the collapse of American industrialism, as captured in my Booker shortlisted novel, The Keepers of Truth. The question plagued me – how could I stand as outsider, impartial witness, and documentarian to another history whilst my own eluded me? In the intervening years, as an ultrarunner, I would captain the Irish 100K Senior Team. In so doing, I vicariously drew upon the Famine, inhabiting the underlying perseverance of a repressed and starved people in the sublimation of distances covered. In so admitting it, in drawing on this historical past, I feel, even now, a reflexive cringe at this ignoble servicing of so many dead for the concentrated efforts of trying to win a race. Years would pass. My writing life turned solely to the deconstruction of the American Dream. Even the tenuous connection to a Famine-inspired endurance receded as I retired from competitive ultra-running. In the interval of years, there was, too, the signing of the Good Friday Agreement, and of course 9/11, and, with it, the end of funds funnelled home given how terrorism was forever re-defined and prosecuted under The Patriot Act. By the latter part of the first decade of the 21st century, I was furthest from my Irishness and deep into a new novel examining the effects of the financial collapse of 2008 on an American family. Likewise, a post-financial crash Ireland, caught in the entanglement of what it meant to be European and in the midst of its austerity measures, was turned from nationalist preoccupations that had figured so centrally just decades earlier. 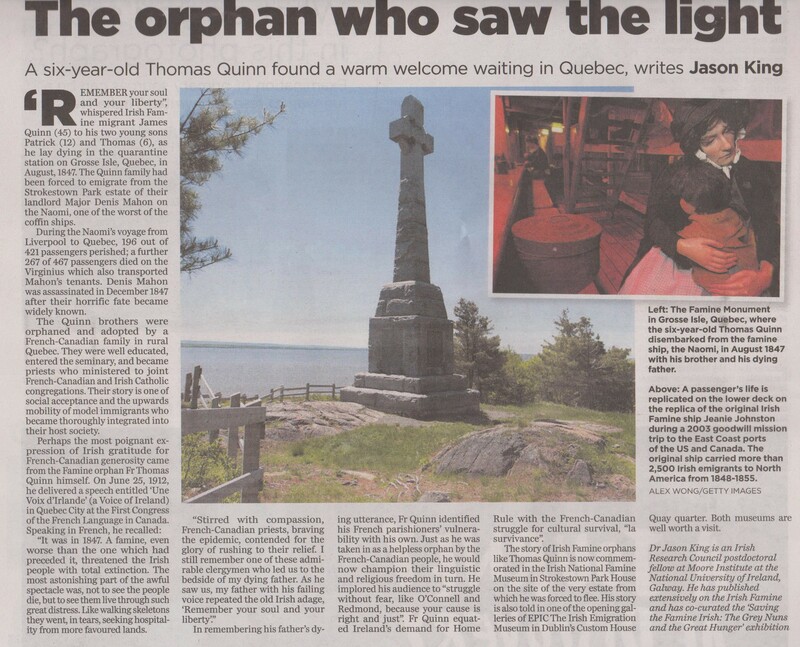 It was not until the fall of 2015, while taking a month-long French language course in Quebec City, that I came across the fated 1847 ocean passage to Canada of 100,000 famine-stricken Irish who had been evicted from some of the most remote estates in a great evacuation of the last enclaves of Gaelic culture. Much of what I read was in French, or parlayed through a halting bilingual exchange with local historians. 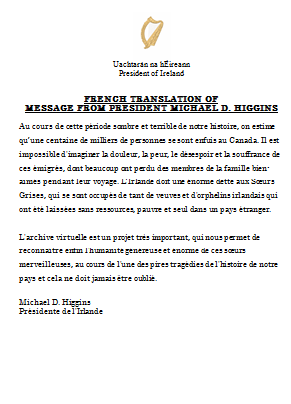 It was a story twice told: first a story of the Irish, but also a story of the French-speaking Québécois who became unwitting participants in the greatest loss of life in the Victorian period, surpassed only by the Great Famine itself and the Crimean War. In the narrative arc of that singular season of death, there was the providential coincidence that those who had survived the ocean crossing eventually continued along the Saint Lawrence river for some 600 miles, to Toronto – a tally of miles I registered as a distance I could run in a single month, amounting to a marathon a day. The fault lines of the complex academic, political and sectarian divide, which appear everywhere in the historical record of the famine, did not surface as I arrived at Grosse Île quarantine island along the Saint Lawrence river. In the great oddment of the contained history of 1847, in approaching the island, nothing suggests the province holds the ignominious distinction of containing the largest number of Irish mass graves in the world. Grosse Île is a site of Irish pilgrimage – though, to Canadians, it is a heritage site dedicated to preserving the island’s historical significance as a quarantine processing facility from 1832 to 1932. The Irish Famine is but one story within Grosse Île’s long history, and yet the facts are stark. From June to November of 1847, of the 100,000 who emigrated, 7,000 died during the 40 to 50-day Atlantic crossing while, on Grosse Île, a further 5,000 succumbed to typhus and were buried in trenched graves. As early as May 1847, Dr Douglas, chief medical officer at Grosse Île, wrote letters imploring assistance to offset impending disaster. The British government wilfully disregarded such requests. The coffin ships kept sailing. 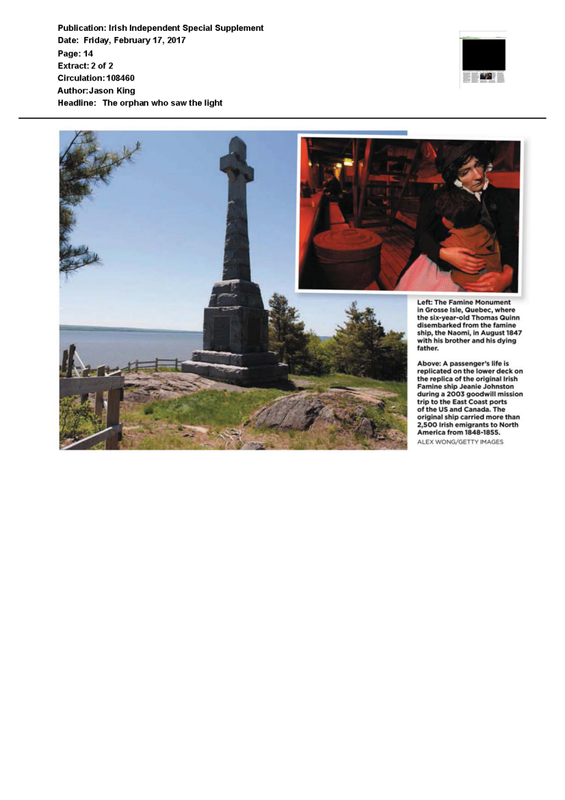 By mid-June, due to the throng of the infirm in the fever sheds and a lack of medical staff, passengers languished for upwards of two weeks aboard an armada of 40 ships backed up two miles along the Saint Lawrence. Without adequate water and food, infection spread. The diarist and coffin ship passenger Robert Whyte recorded seeing “hundreds . . . literally flung on the beach, left amid the mud and stones to crawl on the dry land as they could”. Of the 427 passengers who arrived aboard The Agnes, only 150 survived Grosse Île. In my journey to the island, amidst a riot of children on a school excursion, there would be little regard for solemnity. On the cusp of beginning my month-long run, I felt the reflexive need to rationalise why I was compelled to make this pilgrimage in the name of so many nameless dead. There was no immediate answer. In a quiet disengagement from the school children, I walked first to a Celtic cross that had been erected atop the island in 1909, some 60 years after the fateful events of 1847, then eventually wound my way to a commemorative glass memorial inaugurated in 1998. Fronting a series of unmarked trenched graves amounting to 5,000 souls, an etched glass sail bears a roll call of the dead. In finding the name Collins, the historical context of why this happened and who was to blame was suddenly less important than simply bearing witness to the place where so many had died. Early on, I’d understood that this run would be the salvage of a near lost history in the far-flung, French-speaking province of Quebec. What passed represented a single season of death. Of those 6,000 emigrant orphans sent into the countryside, there has never been a great appeal among them to reconnect with their Irish roots. Perhaps the trauma was too great, or the succour of those who came to their aid did not bear compromise. There was the language barrier, too, and a spirited Francophile resistance to English rule. The most striking fact that emerged in reading the transcribed documents from the time was how the municipal authorities, in tandem with the religious orders of Montreal, had marshalled their collective resources to care and minister to the sick and dying Irish. Simply put, the question early on was: What affinity did the native Québécois have toward this advance of typhus-stricken Irish? In a slow advance toward Montreal, much asked in that question became apparent. I chose Route 132, given its languid course along the Saint Lawrence. In running this less-travelled road, I came upon religious shrines that harkened to a penitent spectre of a more ancient, religious life, shrines eerily reminiscent of those that still exist along the coastal crag of the West of Ireland; weathered figures of Christ’s passion on a cross facing the eternal scour of the Atlantic gales. This is expected of Ireland, but to come upon these roadside shrines in the rainy cold of Canada was a revelation. 1847 figured as a proxy war between Catholics and proselytizing ministers for the salvation of souls. 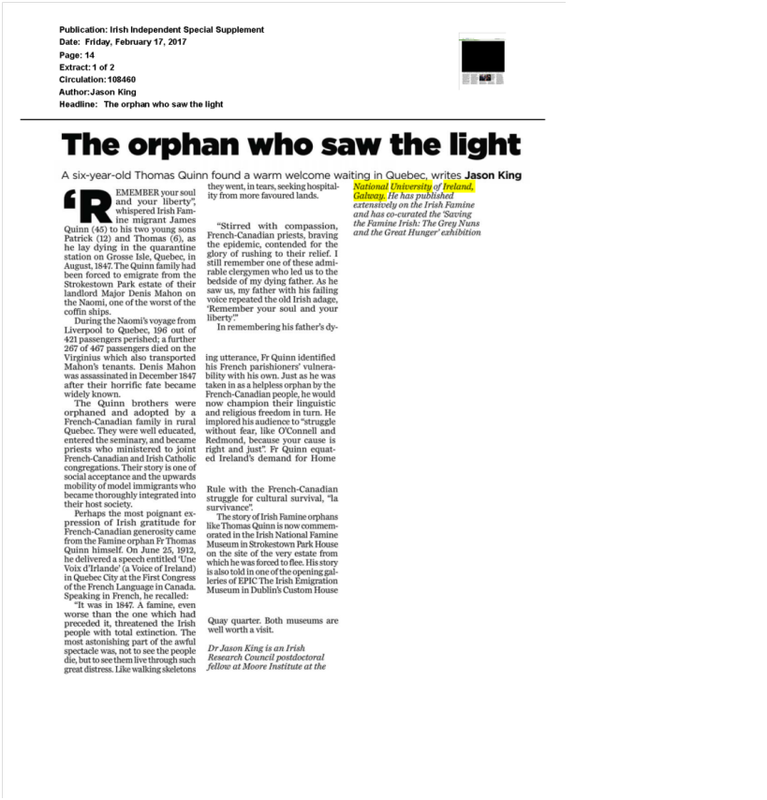 Through the recent work of historian Jason King, the historical record of the Grey Nuns has been recovered and translated. The diary entries capture the miasma of catastrophic sickness. Michael Collins and Jason King in Dublin. In a Dante-esque apocalyptic vision, 75,000 emigrants descended on Montreal, which then had a population of 50,000. There are descriptions of sickness and effluence in the fever sheds that sickened veteran doctors, and yet the so-called Martyrs of Charity actively sought out the most distressing cases of disease. What is transmitted is a faith eclipsed by an Enlightenment age of reason and science and, eventually, a jaded modernist cynicism. In the breadth of some 600 miles, my run would eventually follow the ragged migration of survivors through a divided country: first the Francophile province of Quebec, then the Neo-English province of Ontario. Their journey reveals a history of how the disparate Canadian populations dealt with the refugee crisis, and yet my initial sweep into the remote, uninhabited lands of Quebec proved the most physically and spiritually challenging. Here lay a lost history and the greatest loss of life. Early in planning the run, there was a singular destination I’d settled on that I felt defined our unsatisfactory collective response to the tragic events of 1847 – Montreal’s Black Rock. Michael Collins at Montreal Black Rock Famine memorial. Set in a road median in downtown Montreal, the rock commemorates 6,000 Irish interred in a mass grave. The burial site had been all but forgotten until it was uncovered during construction in 1859 of the Victoria Bridge. Such was the collective amnesia of a traumatized city. The workers who unearthed the entombed erected, at their own expense, the stone that now commemorates those almost forgotten dead. In so reading about the Black Rock, I discovered that, at some point, it will most probably be removed given the sprawl of the city. I contacted the Montreal Irish Monument Park Foundation, a non-profit preemptively seeking to avert the eventual unceremonious mass exhumation of corpses with a proposed famine memorial park across from a derelict parking lot in an industrial wasteland under federal management. Victor Boyle, Marc Miller MP, Fergus Keyes, Michael Collins, and Ronan Corbett. The director, Fergus Keyes, was frank in his general assessment of the dim prospects of negotiating the provincial and federal bureaucratic red tape to acquire the land. Fergus Keyes welcomes Michael Collins to Black Rock. Michael Collins and Fergus Keyes at Black Rock. Yet, his organization has persisted with an annual commemorative gathering that includes the absurd spectacle of having to dart across a major thoroughfare to an island median memorial to honour 6,000 famine victims. Donovan King and Michael Collins at Black Rock. In viewing an online video, in witnessing the ragged assembly of the faithful, I took it as a smouldering indictment of our slowness in demanding recognition of the undisputable horrors which befell our ancestors. Media scrum greets Michael Collins at Black Rock. On a Facebook page Irish Diaspora Run 2016, set up to provide historical information regarding the famine and to chart my progress, a sub-group quickly spawned around the Irish housing crash. Members likened the modern spate of foreclosure evictions to what happened during the famine. There was the sense that the famine was relevant and yet distantly remote from the pressures facing people in the collapse of the housing market. I sympathised with the understated indictment in dwelling on a remote past, and yet there are times when it takes the voice of the pining diaspora to reckon with history. If we are to be charged with an arrested sense of history, then so be it. I was cognizant that Canada was the end for so many Irish, but also the beginning of the Canadian Irish diaspora experience. In the first week I ran over 300km and arrived, shivering, into the Montreal suburbs late at night. Faltering during the afternoon run, I had all but collapsed. This was the beginning of the summer scorch and drenching humidity. In ultra-running, the body succumbs and recovers in a realignment of metabolic adjustment. It was partly that, but perhaps more so a psychological reckoning in anticipating my arrival at the Black Rock the following day. My hotel room that night was 90 miles behind. Eschewing backtracking, myself, my daughter and driver waited out the coming dawn sequestered in an industrial parking lot, the grotto of the car light intermittently lit in our exit and return. This was our small vigil in the greater throng of Montreal. We were penitents and refugees for a night. The next day, I resumed the run toward the Black Rock with a keener sense of purpose. On hand were local and national media. Also present was Canadian parliamentarian Marc Miller who added his support to creating a famine memorial park. Michael Collins and Marc Miller MP at Black Rock. I heard, too, that President Michael D Higgins had agreed to open the Saving the Famine Irish: The Grey Nuns and the Great Hunger exhibit at Glasnevin Cemetery, thus bringing to light the untold story of Montreal’s valorous efforts that averted even greater loss of life in that fateful year of 1847. 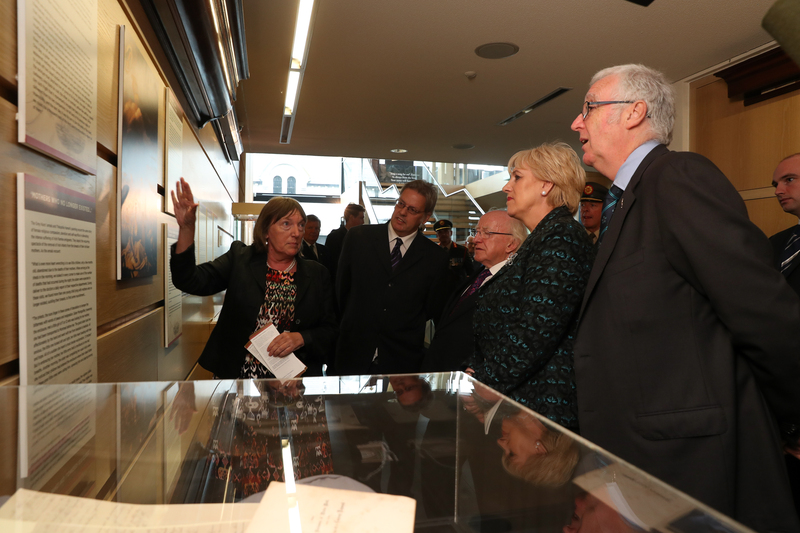 President Michael D. Higgins launches “Saving the Famine Irish” exhibit at Glasnevin Museum. Such sentiments encapsulate the spectre of “famine fatigue”. It is, of course, the easier choice. Yet, at the Black Rock, and then onward into Cornwall, Ontario, where I met a lone school teacher, who erected a Celtic cross in the honour of over 52 famine victims, to my talk on the Syrian refugee crisis at Skeleton Park’s famine cemetery in Kingston, Ontario, I came across a cadre of historically minded citizens who believe remembrance is not connected with advancing animosities, but simply preserving the historical reality of a year so many would prefer to forget. Michael Collins at Cornwall Famine memorial. Exhibition about the role of the Grey Nuns during the typhus epidemic in 1847 in Montreal. Cette exposition temporaire relate l’histoire des Sœurs grises et des autres congrégations religieuses montréalaises qui ont porté secours aux immigrants irlandais lors de l’épidémie de typhus de 1847. 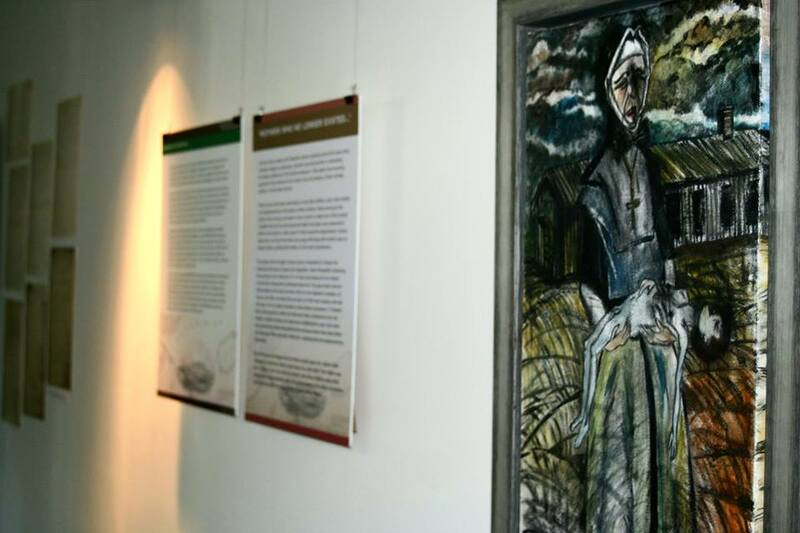 This temporary exhibition tells the story of the Grey Nuns, and of the other religious orders in Montreal, who helped the Irish Famine Immigrants during the typhus epidemic of 1847. 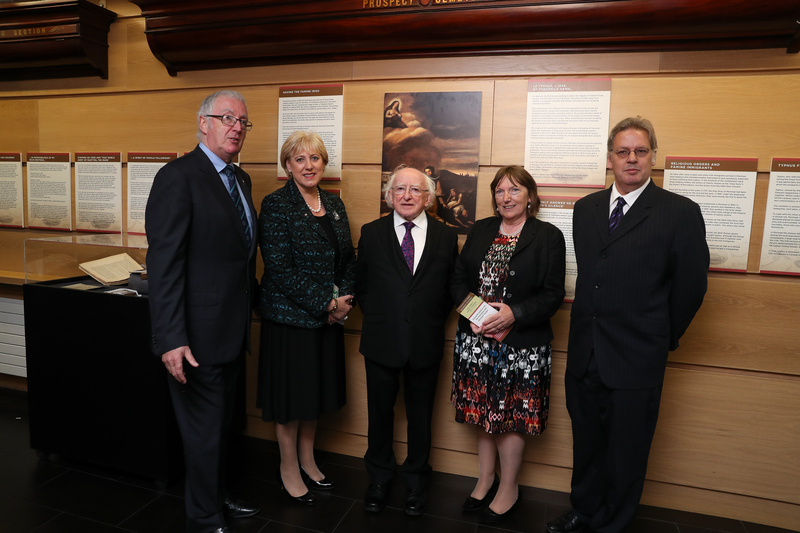 Minister Heather Humphreys, President Michael D. Higgins, Professor Christine Kinealy, Dr. Jason King. 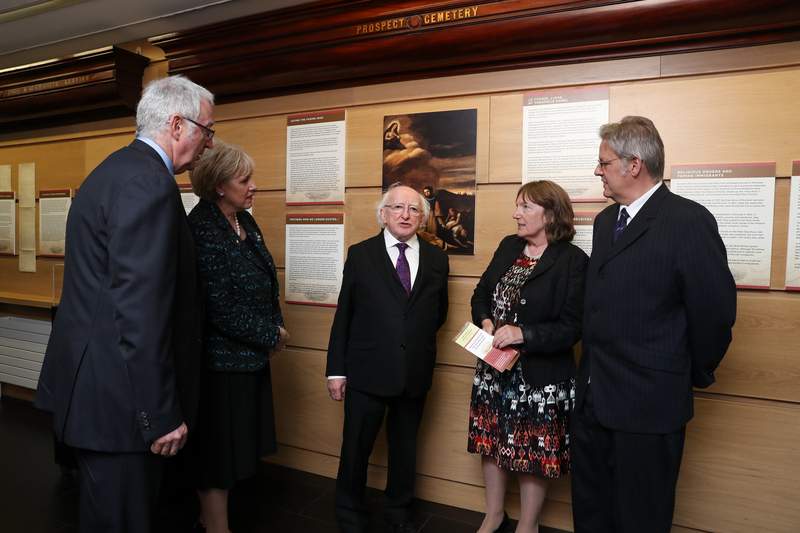 Photo L-R: Minister Heather Humphreys, President Michael D. Higgins, Professor Christine Kinealy, Dr. Jason King.